I was honored last year to have one of my shots of Jarrett Bay hull no. 62 selected by Power and Motor Yacht for the cover of their July issue as well as a full page spread inside. 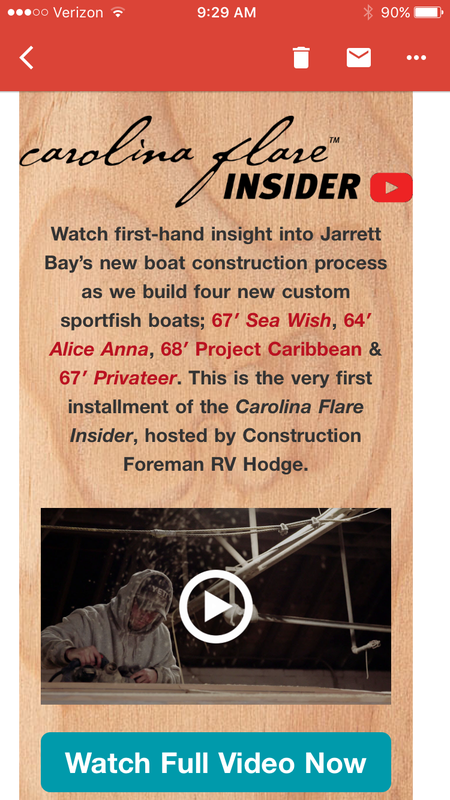 Check out the first installment of Jarrett Bay's "Carolina Flare Insider: April"; A monthly vlog featuring a behind the scenes look at their new construction projects and boat building insights. 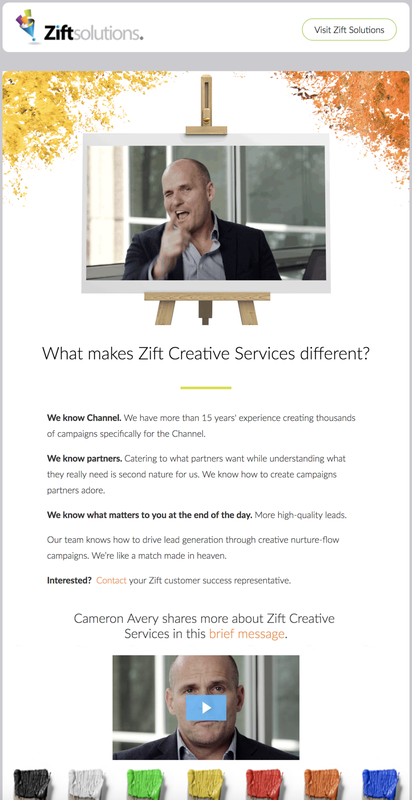 Here is a mobile screen shot of how the video is being used in their monthly email campaign. My family's annual Christmas Card video for 2017. We finished Redfish Can't Jump in January of 2010 and screened it for the first time in front of a packed Level 5 crowd in downtown Wilmington, NC. Seven years later and we finally have the full length HD film available for download. Thanks for everyone's support over the years. For the finale of Jarrett Bay Boatworks' 30th anniversary I wanted to create something outside of the marine industry box. Something different than what other boat manufacturers were putting out there. 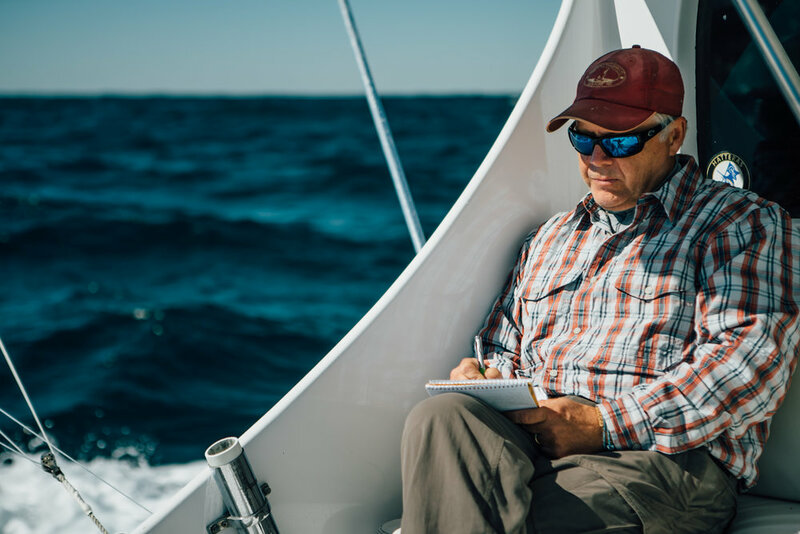 My goal was to tell the story of Jarrett Bay but do so in a way that made people think differently about how these incredible boats are built and the experience you have aboard one. I collaborated with my friend and author, T. Edward Nickens (Field and Stream, Garden & Gun, Our State) to write the script. His unique style of storytelling was a perfect fit. After sharing with Eddie the direction I wanted to take the film, his prose helped set the stage for the final product. Eddie and his son, Jack, also make a cameo at the :25 second mark while we were fishing aboard the Sensation. I also wanted to show the archival shots from Jarrett Bay's history in a different way. 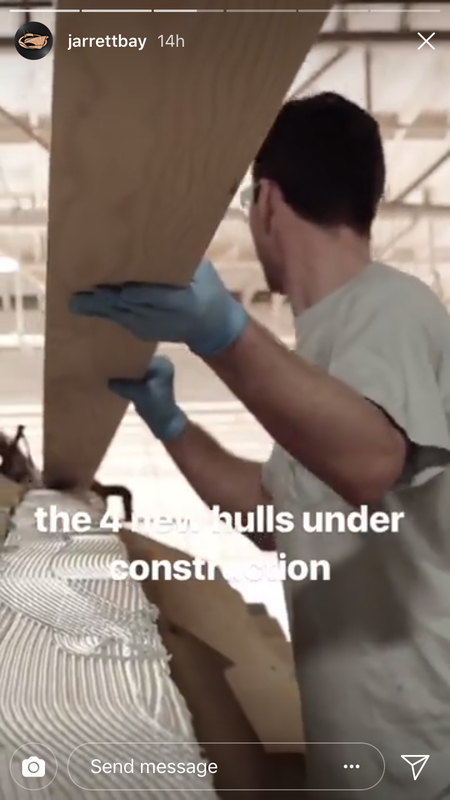 Instead of flashing up old photos or footage, I thought it would be more powerful if we projected the images onto the hull of their newest and largest boat build to date. The unfinished, off-white surface provided a perfect projection screen for the images and the result was better than I anticipated. Below are a few behind the scene's shots and the final product for a project I'm extremely proud of. I hope you enjoy.